Will your Borrower Client's Lease Term Accord with CML Handbook Requirements? Accord Buy to Let is the latest of a number of lenders who have changed their CML Handbook requirement relating to minimum unexpired lease terms (section 5.14.1). "85 years from the date of completion of the mortgage". "60 years from the date of the mortgage application subject to 35 years remaining at the end of the mortgage term". The new financial trade association has been named UK Finance - Representing UK Finance & Banking. This was a unanimous decision by the Interim Main Board. The new integrated trade association will bring together member organisations in finance and banking in the UK. UK Finance will integrate the remits, skills and capabilities of six trade associations: The Asset Based Finance Association (ABFA), British Bankers’ Association (BBA), Council of Mortgage Lenders (CML), Financial Fraud Action UK (FFA UK), Payments UK and the UK Cards Association (UKCA). Last month Bob Wigley was announced as the Chair of UK Finance, commencing his role on the 1st March who will oversee the appointment of the Chief Executive of the new body and the integration of the existing trade associations. UK Finance is set to launch in the summer of 2017. The e-ROT webinars are taking place this April. You can book here. Conveyancers - What would you do with an extra day a month? Most conveyancing lawyers I consult with complain that they don’t have enough time, but what would you do if you had an “extra day” a month? Would you do all those things you said you'd do; enjoy a day at a spa, actually take a lunch break, arrange time with family or friends or simply have a little quality ‘me’ time relaxing over a good book? The average lawyer that I come across completes ten purchase cases a month. For some this number can be as high as 25. Without exception, lawyers inform me that the most time consuming part of the conveyancing process is the Report on Title. The recent Lexsure ‘Time is Money’ survey revealed that lawyers spend an hour or more on drafting a Report on Title, regardless of whether they have a case management system. Even if you’re one of the fortunate lawyers who enjoys producing this document, the time it takes is at best an inconvenience. It strikes me as odd that despite technological advances in the conveyancing process this most important and time-consuming document has not received proper attention. Taking to heart the old adage “a solicitor’s time is his stock-in-trade” Lexsure has an automated Report on Title (e-ROT) reducing the average time to prepare a Report on Title to 5 minutes. Using an average of 10 cases a month that equates to a saving of over 9 hours a month….the equivalent of a working day. Whist the primary reason to upgrade your Report on Title should be about reducing risk, a side benefit of the e-ROT is that it should enable you to be more efficient, reduce your stress levels and result in you having more free time. Now all that’s left for you to do is decide how you’re going to use that extra day, whether it be all in one go or by giving yourself an extra hour here or there! 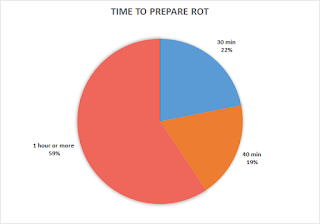 To find out more about the e-ROT please pick from one of the four free webinars in April. Principality Building Society have changed their CML handbook requirements to section 6.7.1 extending the obligation to the solicitors acting on their behalf. When it comes to checking on acceptable warranty schemes for new build or newly converted properties, lawyers are now expected to ensure that the level of cover available under the warranty will be sufficient to meet the rebuilding cost of the property. A calculation will be necessary when the proposed security forms part of a continuous structure.